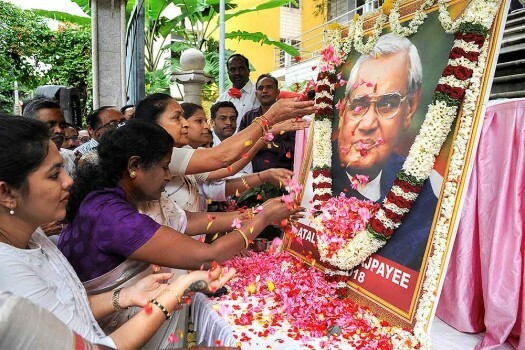 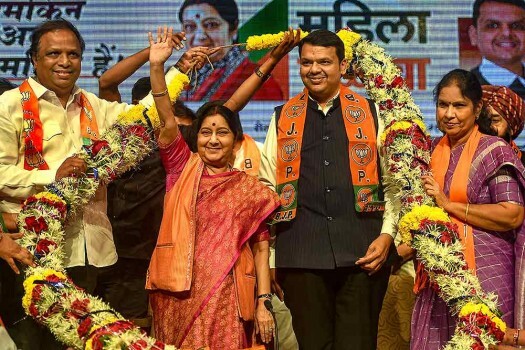 Union External Affairs Minister Sushma Swaraj and Maharashtra Chief Minister Devendra Fadnavis being garlanded during the Mahila Morcha gathering, in Mumbai. 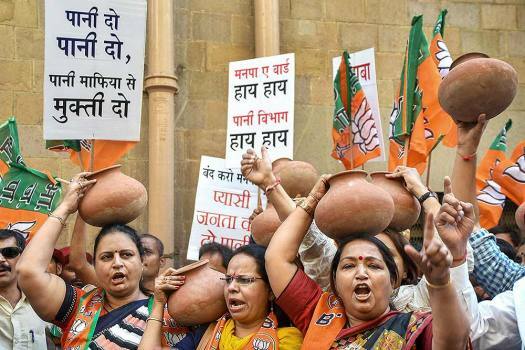 Bharatiya Janata Party (BJP) women activists stage a protest against Brihanmumbai Municipal Corporation (BMC), in Mumbai. 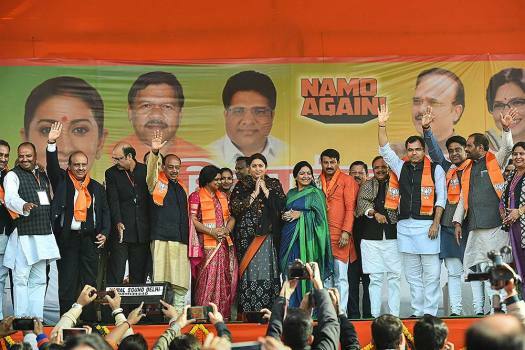 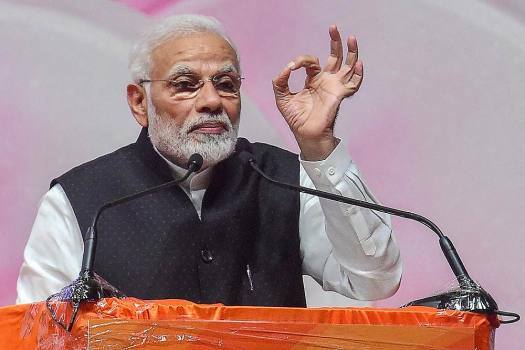 Prime Minister Narendra Modi addresses the BJP women's wing National Convention, in Ahmedabad. 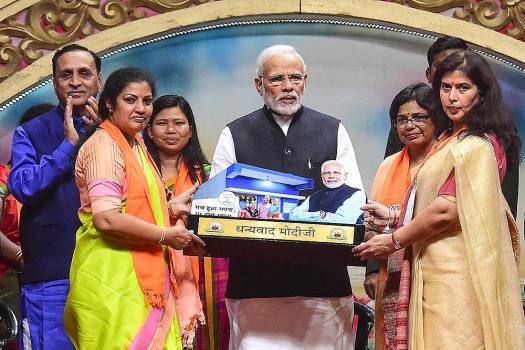 Prime Minister Narendra Modi being felicitated by BJP women's wing leaders during their National Convention, in Ahmedabad. 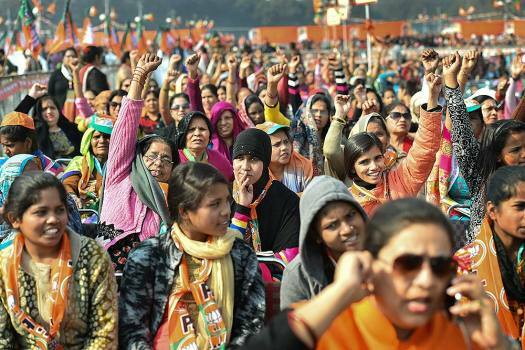 Bharatiya Janata Party (BJP) supporters during 'Mahila Hunkar Rally' at Ramlila Maidan, in New Delhi. 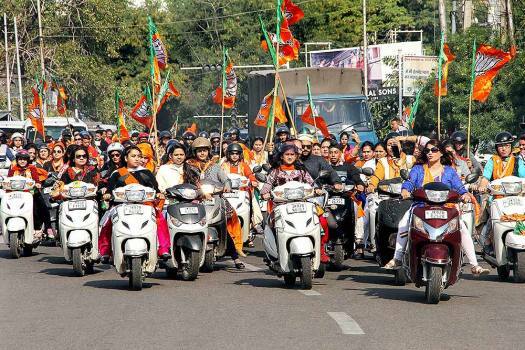 BJP Mahila Morcha members take part in a scooter rally on the occasion of the birth anniversary of Rani Lakshmibai, in Jammu. 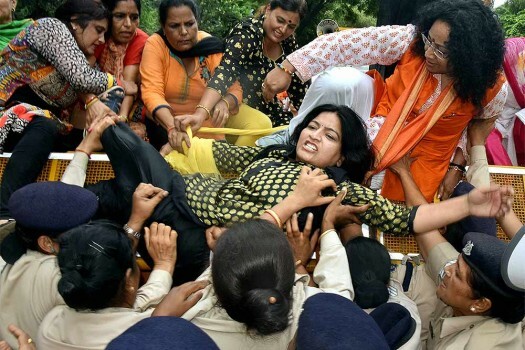 Police personnel detains BJP Mahila Morcha activists protest against Delhi government at Vidhan Sabha, in New Delhi.